George Mason University in Virginia is ground zero for Koch influence in higher education. The school has received $95.5 million from the Charles Koch Foundation since 2005, earning it the title of "Koch U" from investigative reporter Dave Levinthal. In addition to providing massive donations through the GMU Foundation, Charles Koch plays a governing role at two think tanks on GMU’s campus that receive his financial support. The Mercatus Center conducts economics research that is used by Koch-funded political groups to advocate against taxes on the wealthy, corporate taxes, and regulations that may affect corporate profitability. Mercatus is the model program which Koch has attempted to replicate at dozens of other schools hoping to exert a deregulatory influence in their respective state capitals. The Institute for Humane Studies (IHS) coordinates networking and professional development opportunities for students interested in working at Koch-funded political groups. The curriculum taught during IHS fellowship seminars was recently criticized for being “designed more to help corporations fight regulations than to advance scholarly inquiry and understandings of political freedom” by a former student fellow. Charles Koch sits on the Board of Directors of the Mercatus Center, which he founded, and the Institute for Humane Studies, where he is the chairman. Richard Fink, a longtime advisor who was nicknamed “Charles Koch’s brain” by Koch biographer Daniel Schulman, helped Charles Koch establish the Mercatus Center, and remains a member of its board. 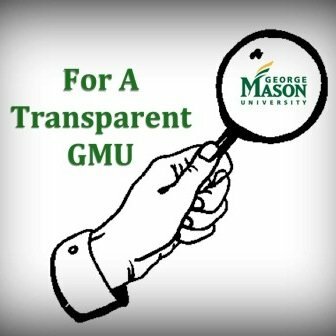 In 2014, a student-led campaign called Transparent GMU was launched to raise concerns about Mason’s close relationship to the Charles Koch Foundation and advocate for the disclosure of the university’s agreements with private donors. Students filed their first Freedom of Information Act request that year, seeking grant and gift agreements between the university and CKF. They were told that the documents were controlled by the GMU Foundation, which claimed to be exempt from FOIA. In response, students launched a grassroots campaign asking for the university to release the documents. For over two years their requests went ignored despite having collected signatures from alumni, students, faculty and other concerned community members. The student organization recently filed a lawsuit against the University and the Foundation seeking to make them comply with the Virginia Freedom of Information Act. Students hope the Fairfax County Court will require the University and Foundation to release the documents based on the Virginia FOIA law, which states that a public university cannot conceal its records by outsourcing its public business to a private company. Skeptics, including some of George Mason’s faculty and students, said the gift and the renaming showed that donors were wielding undue influence over Virginia’s largest public university. Protesters displayed a banner on a sidewalk along Fairfax Drive, outside the law school, Thursday morning as people gathered for the dedication. “Protect Public Ed Not Private Interests,” it said. “Our concerns have been ignored by the leadership of George Mason University,” one of the demonstrators, sophomore Janine Gaspari, said. George Mason University officials announced plans to change the name shortly after Scalia died in February. The move was tied to a $10 million grant from the Charles Koch Foundation and a $20 million matching grant from an anonymous donor that is contingent on renaming the school. 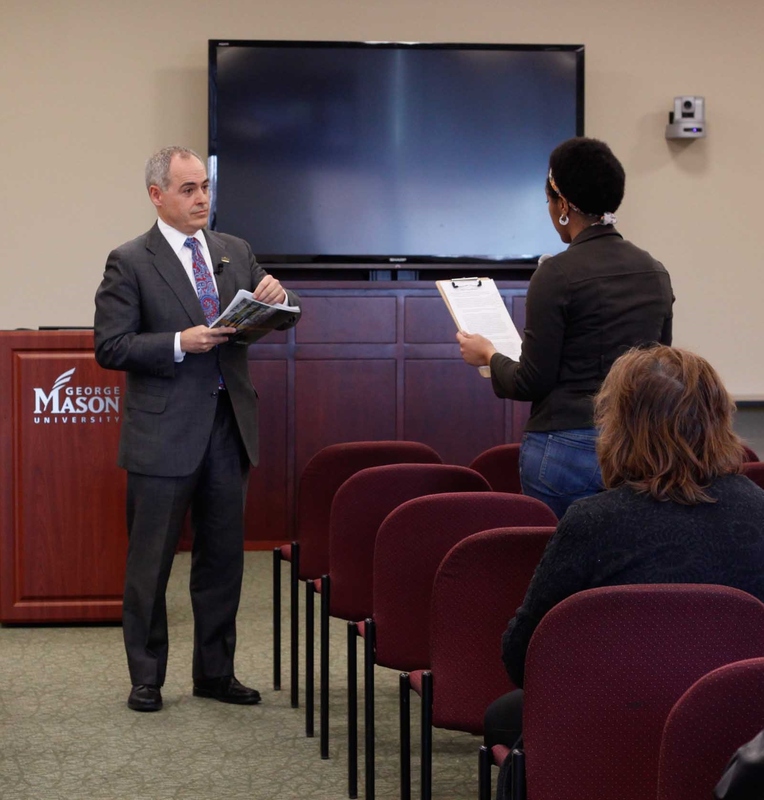 The GMU faculty senate passed a resolution in April that questioned the change, and some opponents urged the State Council for Higher Education in Virginia to reject it. But the council said in May it had no oversight role in the matter. About 30 students, faculty, alumni and Virginia taxpayers protested the undue influence they believe donors have on what they're taught at GMU which is a public school. They want a faculty review of donor agreements. "It's about the strings that are attached to the money and not who the donations are from. Yet again our voices were ignored," said Janine Gaspari, a sophomore at George Mason University. “We do not believe the administration has addressed student and faculty concerns raised about the university’s relationship with private donors,” [UnKoch's Samantha] Parsons said in the release. "WE AIM TO SHED LIGHT ON THE POTENTIAL UNDUE INFLUENCE OF GMU DONORS. WE ARE CALLING ON GMU TO ENSURE ACADEMIC FREEDOM AND INTEGRITY IS UPHELD"